12 Roll Case of 2400 Premier Pet Waste Bags. 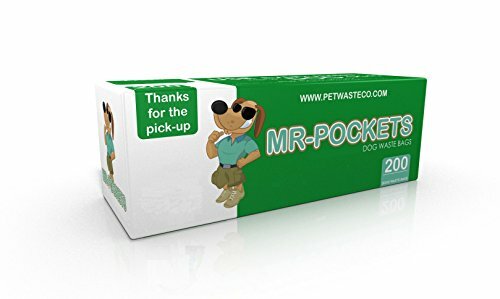 Great quality pet waste bags that you can trust! This is not an area where you want to trust a cheap, thin bag. Buy with confidence, use with confidence! Fits all major brand outdoor commercial roll bag dispensers. Our Roll bags have commercial-grade strength and size and each roll is stored within its own box for easy, convenient home storage & use! Passes the puncture test! Each bag is: 8" x 13", with 200 bags per roll, totaling 12 Rolls/2400 bags per case. Black opaque in color, with clear instructions printed on each bag. 18 microns thick/0.7 mil. Fits any standard commercial roll bag dispenser! Commercial-grade strength & size. Passes the puncture test! Black Opaque color. No need to see, touch, or feel what you're picking up! If you have any questions about this product by PetWasteCo, contact us by completing and submitting the form below. If you are looking for a specif part number, please include it with your message.